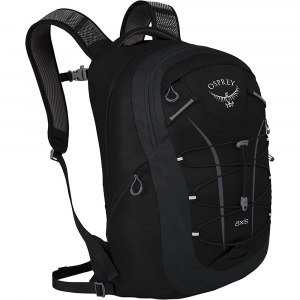 Great for a day hike, or as a laptop/school bag. I love this pack! I used it mainly as a laptop bag, but decided to go with something else for that as I got a Maxpedition Beefy to hold things like cords, thumb drives, spare drives, etc. I also got a Maxpedition organizer for other things that were in the organizer pocket which is a decent sized space, but because of its location is somewhat difficult to get into. With a laptop that's about an inch thick, and a nook, there isn't a lot of space left internally, plus it made closing it a little hard on the zippers. Sop, another bag for the laptop and accessories. As it is, there is an internal sleeve which can be used for either a 15.4" laptop, or a water bladder. I fit a 2L in there easily, but a 3L would limit the amount of internal space. It is after all an 18L (1098ci) pack, so it doesn't have a lot of internal space to begin with. There is also a document sleeve which I used mainly for some reference charts and to hold my Nook. Although both the Beefy and Organizer will fit down inside, it's tight and as I said makes it feel hard on the zippers. At the top of the inside, above the laptop/bladder sleeve, is another small mesh/stretch pocket which could hold a music player, cell phone, etc. Finally, there's a zippered mesh pocket on the inside back of the front flap. Very convenient for cellphone, small external drive, or other items of that size. There are two zip down side pockets which will hold things like a mouse or other small things. Both pockets run the length of the front panel, and are about 4 - 5" deep (outside to inside). In between those, on the top of the front panel is a small organizer pocket with a key ring clip, 3 - 4 pen slots, and a small pocket. The pocket itself is about 2.5 - 3" deep front to back. There's also a small mesh pocket in there as well. At the top is a port for either earbuds, or the bladder tube. On the outside is a bungy cord lashing area with a small hook on the cord which will allow you to attach it to the bottom of the space right above the ice axe loop. 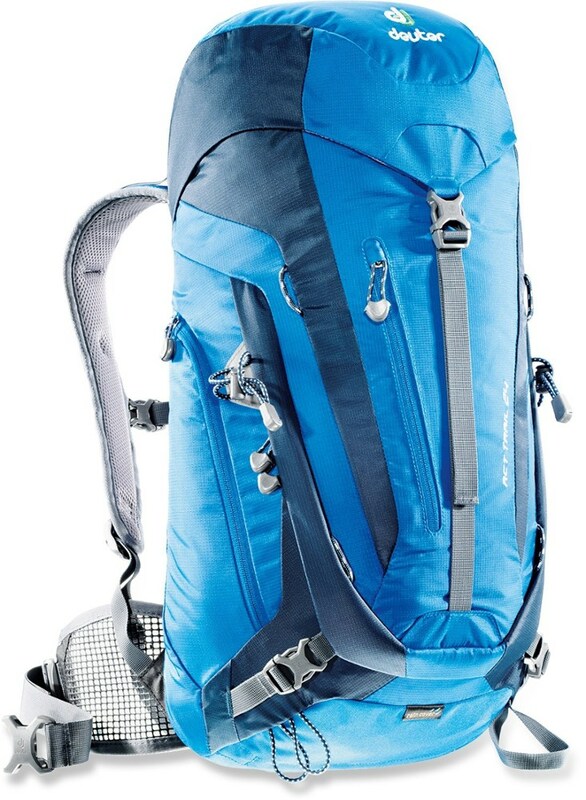 You could use this as a summit pack as well. 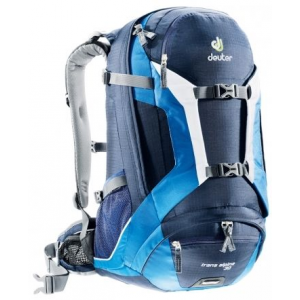 The shoulder straps are comfortable under a load af about 8 pounds, but would be comfortable under a heavier load. 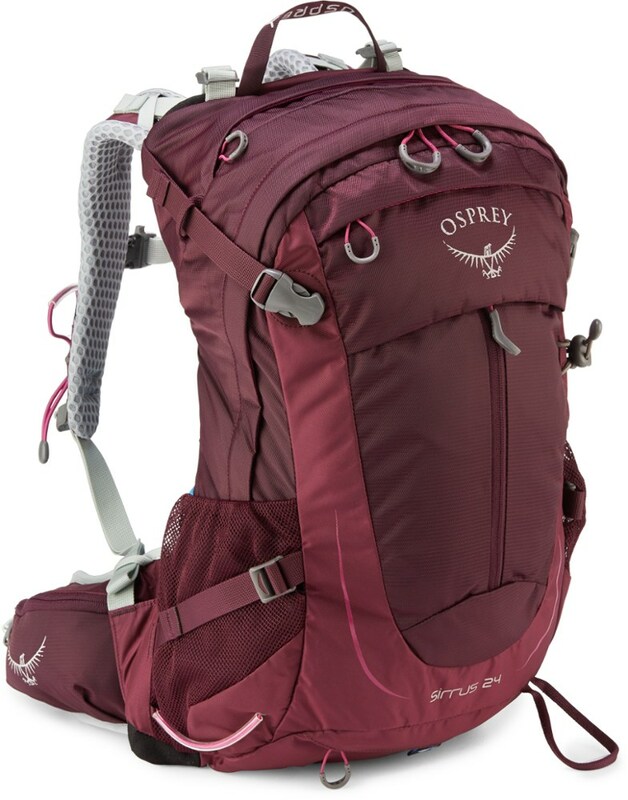 I wouldn't try to put a load of 20 pounds in here (frankly you probably won't have the space), but you should be able to get about 12 - 14 pounds of gear and stuff in this pack. The hip strap is useless as far as I'm concerned, and it's removable, so I did :). 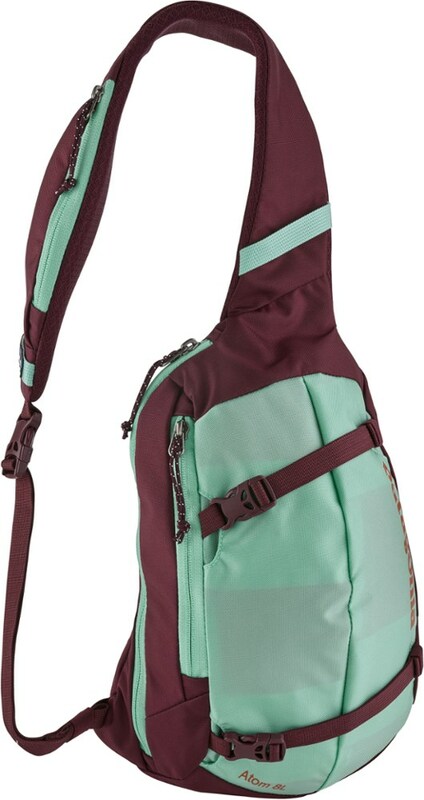 There is a sternum strap that is adjustable along both shoulder straps, which has a whistle buckle. Rounding off the features is a padded grab handle on the top which I used all the time. It's fixed to the pack and seems pretty secure. I'm 6'1" and large framed and this pack fits me just fine. There is no adjustable suspension, but I found the fit to be just fine. 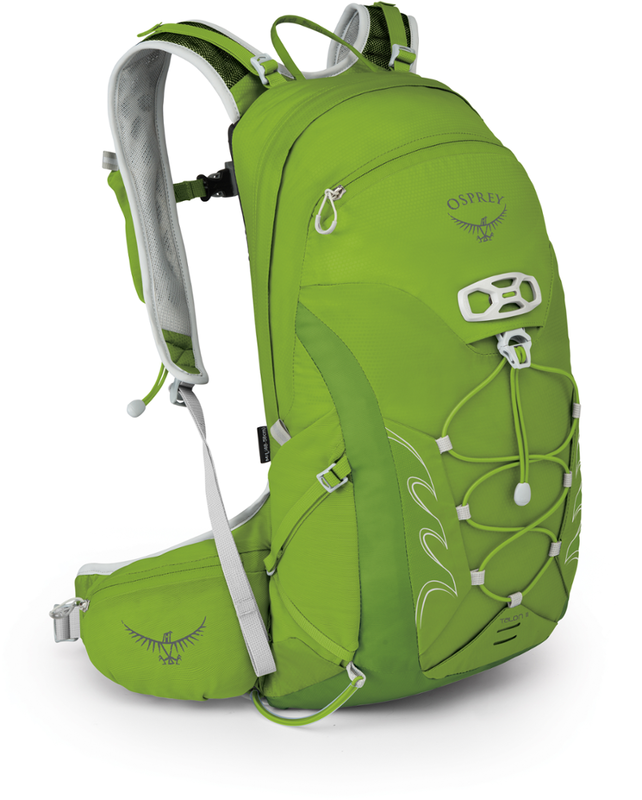 I've used the pack for over a year and have found it quite durable. I haven't used it for anything like an overnighter in the woods, but can attest to it's durability as a commuter bag. The zippers function perfectly, the stretchy parts still snap back like they should, and even the bungy tightener has not seemed to lose any of its stretch. 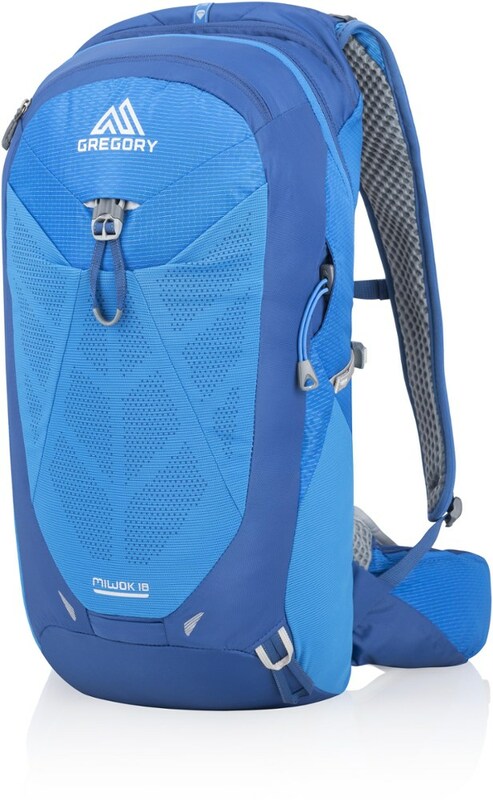 All in all, I think this is a great pack for daily commuting, day hikes, or campus use.